Danzig issued over the years (1920-1939) 3 different types of the passport plus a type for Aliens (which is extremely rare). The passport displayed here is the 2nd type. Over the years I have seen many of these documents. 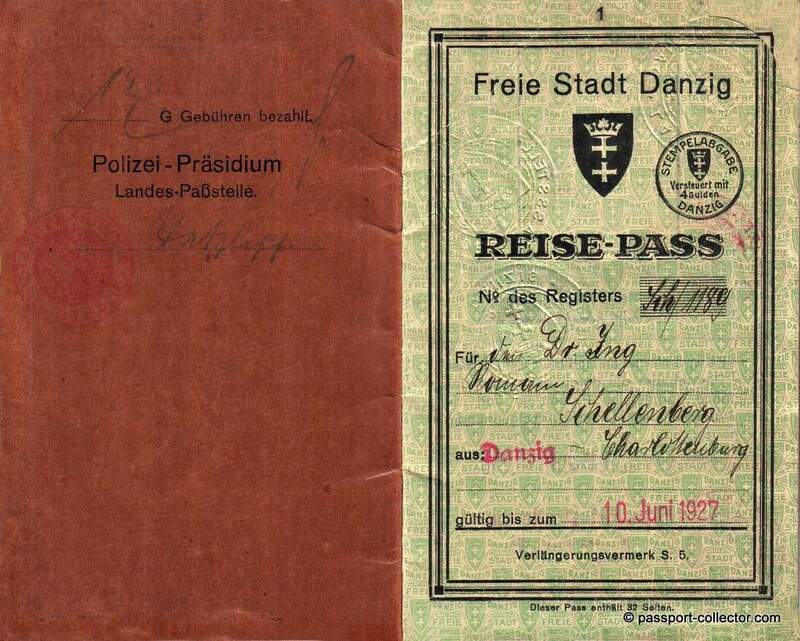 The free city never had more than 400.000 citizens over the years and of course who had a passport back then? 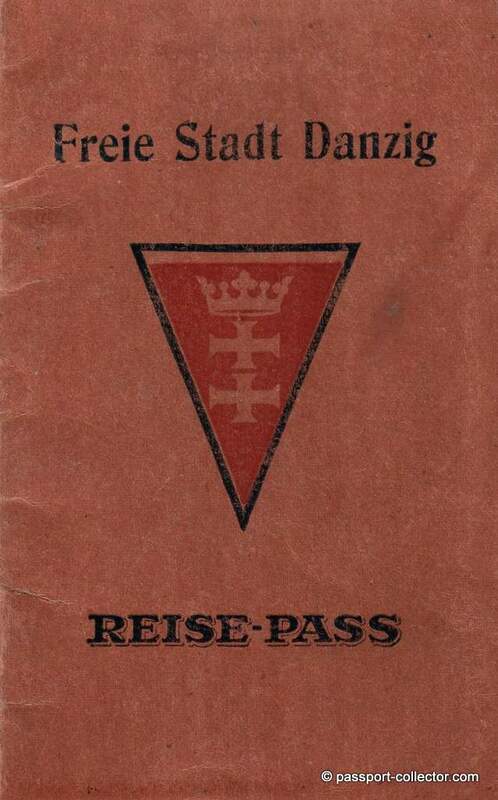 Only a small fraction of the population, hence Free City of Danzig passports are rare nowadays. But lets have a closer look to this one and we will see this passport has also foreign travels and visas to Switzerland and Italy which is extremely rare! Further unusual findings are the part with the bearers signature, it almost looks like cut out from another passport. Interesting is also that applying the blind seal on page 2 with the passport picture made some damage to the page upper corner as probably the sealing tools was just to sharp. 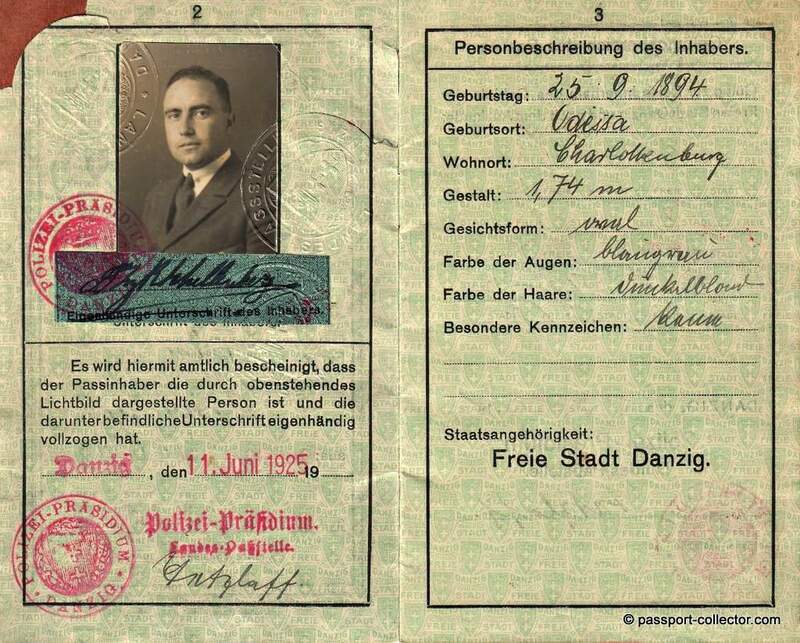 The passport was issued on 11th June 1925 in Danzig, the bearer was born in Odessa. 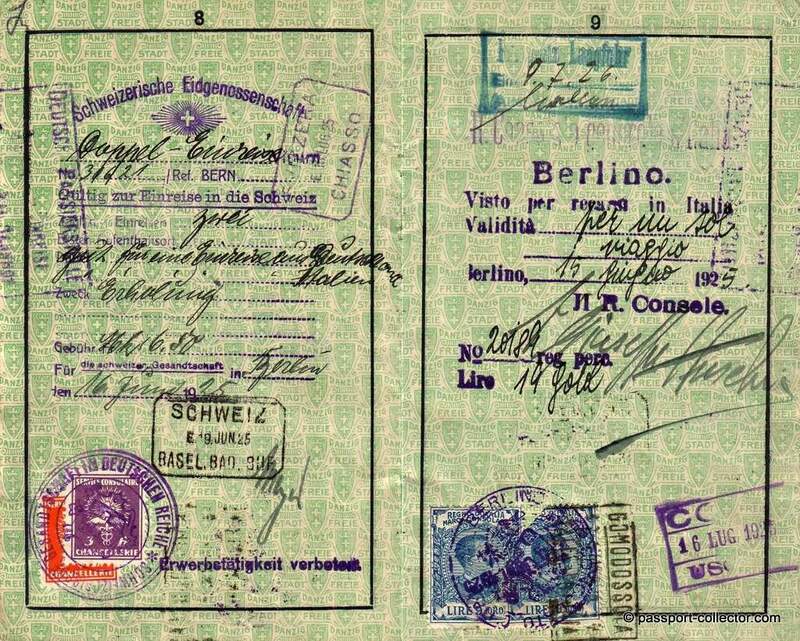 Page 6 shows a residence permit from 1926 issued in Berlin and also in 1925 the earlier mentioned visas to Switzerland and Italy. The last stamp is a border control stamp from Zappot in October 1926. Doing some research on the bearers name, Roman Schellenberg, I found some entries that he was a long time and loyal friend of German espionage chief Hermann Braun (1897-1951), both were born in Odessa. Dr. Roman Schellenberg was a engineer and working for the German company Rheinmetall, which produced military equipment. Schellenberg past away in 1981 in Berlin.